Beyoncé's sister is back in the news, but it has nothing to do with her new married life. According to TMZ, the taxman is after Solange Knowles and she is being slapped with a tax lien. Reportedly, the State of California is claiming she owes more than $55,000 in taxes for 2010 to 2012. If that isn't bad enough (if it's true), the claim was filed three days after Knowles married Alan Ferguson. Ouch. That's definitely not the type of wedding gift anyone wants to receive. 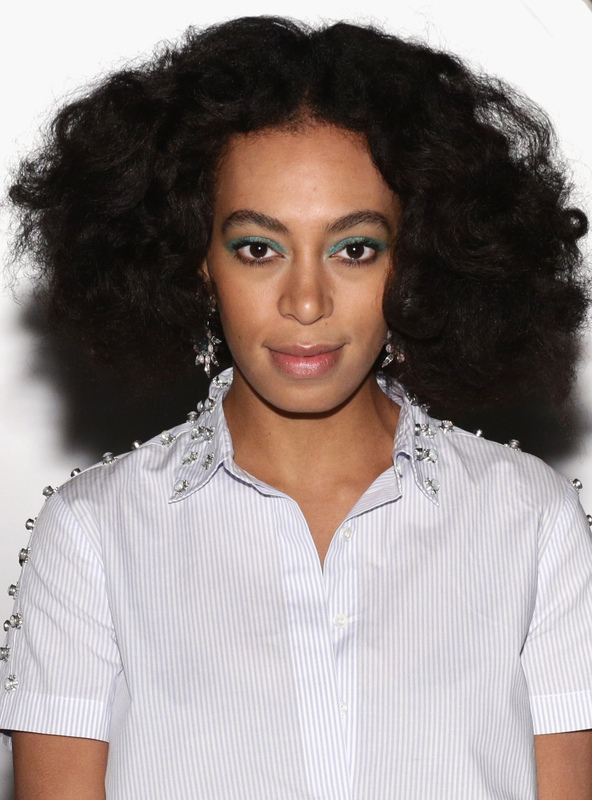 So what does Knowles have to say about the money she reportedly owes? She seemingly responded to the allegations on Twitter. The tweet reads, "Well thanks for letting me know, lol. Shiiiiiiiiiit. (Pronounced *She-it)." Is she concerned? Is she laughing it off? Is this tweet a reaction to the tax news or something completely different? It's hard to tell, but let's say it is related to the news reported by TMZ. It almost reads as if she's blowing it off and making a joke about it, right? Basically, it appears that she's saying don't believe everything you read, which happens a lot when celebrities make headlines that turn out to be 100 percent bogus. There is still no official word on if she does indeed owe back taxes, but if she does I'm sure she, her hubby, and her family (if Knowles does need a loan, because I'm not really sure how much she is worth) will have no problem paying it off. Let's face it, $55,000 is nothing in the eyes of Beyoncé and Jay Z.